James A. Banks is the Kerry and Linda Killinger Endowed Chair in Diversity Studies Emeritus and is the founding director of the Center for Multicultural Education at the University of Washington, Seattle. He was the Russell F. Stark University Professor at the University of Washington from 2001 to 2006. Professor Banks is a past president of the American Educational Research Association and of the National Council for the Social Studies. He is a specialist in social studies education and multicultural education and has written widely in these fields. His books include Teaching Strategies for Ethnic Studies; Cultural Diversity and Education: Foundations, Curriculum, and Teaching; Educating Citizens in a Multicultural Society; and Race, Culture, and Education: The Selected Works of James A. Banks. Professor Banks is the editor of the Handbook of Research on Multicultural Education; The Routledge International Companion to Multicultural Education; Diversity and Citizenship Education: Global Perspectives; and the Encyclopedia of Diversity in Education, published by Sage in both hard and electronic editions. He is also the editor of the Multicultural Education Series of books published by Teachers College Press, Columbia University. There are currently 58 published books in the Series with others in various stages of development. Professor Banks is a member of the National Academy of Education and a Fellow of the American Educational Research Association. Columns Magazine, in addition, has published an article about Professor Banks' career and retirement. (1993). Multicultural Education: Development, Dimensions, and Challenges. Phi Delta Kappan, 75(1), 22-28. (1993). Multicultural education: Historical development, dimensions, and practice. Review of Research in Education, 19, 3-49. (1993). The canon debate, knowledge construction, and multicultural education. Educational Researcher, 22 (5) 4-14. (1998). The lives and values of researchers: Implications for educating citizens in a multicultural society. Educational Researcher, 27 (7), 4-17. (2008). Diversity, group identity, and citizenship education in a global age. Educational Researcher, 37(3), 129-139. (2015). Failed citizenship, civic engagement, and education. Kappa Delta Pi, 51 (4), 151-154. David Allen is Dean and Professor of Nursing and Health Studies at the University of Washington, Bothell. The focus of Professor Allen’s work has been the intersection of nursing and social justice. In nursing and in women studies, he teaches methodological issues that arise when power and contested values (especially around systematic disadvantaging by race, class and gender) are central to one’s inquiry. Similarly, his theoretical explorations are related to how power, justice, privilege and disadvantage are embedded in theoretical discourses and what sorts of vocabularies might help us reshape these discourses (e.g. about curriculum or mental illness) in a less damaging direction. 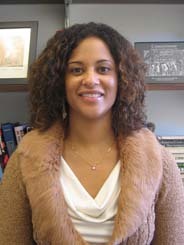 Cherry A. McGee Banks is professor of education at the University of Washington, Bothell, and faculty associate of the Center. Her current research focuses on race and gender in educational leadership. She has contributed to such journals as the Phi Delta Kappan, Social Studies and the Young Learner, Educational Policy, Theory Into Practice, and Social Education. Professor Banks is associate editor of the Improving Multicultural Education: Lessons from the Intergroup Education Movement. She also serves on the editorial board of Educational Foundations. In 1997, Professor Banks received the Distinguished Teaching Award from the University of Washington, Bothell. 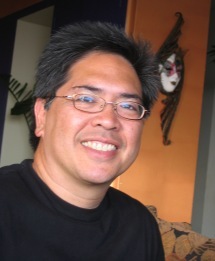 Enrique C. Bonus is Associate Professor of American Ethnic Studies at the University of Washington. He is also the Director for Curriculum Transformation Initiatives in the College of Arts & Sciences. Professor Bonus's teaching and research interests are focused on contemporary American cultures, race and ethnicity, communication and cultural Studies, Asian American studies, Filipino American studies, and ethnography. He is currently working on a research project focusing on the politics of higher education for underrepresented students. Ana Mari Cauce is President of the University of Washington and Professor of Psychology. Since she began her work, Cauce has been particularly interested in normative and non-normative development in ethnic minority youth and in at-risk youth more generally. She has published almost a hundred articles and chapters and has been recipient of grants from the W.T. Grant Foundation, the National Institute of Mental Health, the National Institute of Child Health and Human Development, and the National Institute of Alcoholism, and Alcohol Abuse. She is the recipient of numerous awards, including Recognition from the American Psychological Association for Excellence in Research on Minority Issues; Distinguished Contribution Awards from the Society for Community Research and Action; and the American Psychological Association Minority Fellowship program. She has also received the University of Washington's Distinguished Teaching Award. 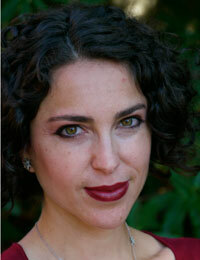 Dr. Dabach is an Assistant Professor at the University of Washington's College of Education. Her research focuses on how institutions, and those in institutional roles such as teachers, adapt and respond to immigrant youth. Situated in the field of immigration and education, her work examines the nature of opportunities for immigrant-origin youth in urban secondary school settings, and she also examines access to content area instruction for youth who are in the process of learning English. Dr. Dabach received her Ph.D. at the University of California, Berkeley and was a visiting scholar at Harvard's Graduate School of Education while working on the Longitudinal Immigrant Student Adaptation (LISA) study with principal investigators Carola and Marcelo Súarez-Orozco. She has been honored with prizes for both historical analysis and contemporary educational research, including the 1996 Morrison-Miller Prize in U.S. History and the 2011 American Educational Research Association's (AERA) Bilingual Education SIG's Outstanding Dissertation Award. In addition to research in immigration and education, Dr. Dabach is interested in efforts to integrate the arts in education order to provide creative and engaging educational opportunities for youth. Erasmo Gamboa, the leading historian of the Latino experience in the Northwest, is Associate Professor of Chicano Studies and Adjunct Associate Professor of History and Latin American Studies at the University of Washington. He has authored scores of articles and several books, on such themes as Spanish exploration and Latino settlement and labor history in the Northwest. 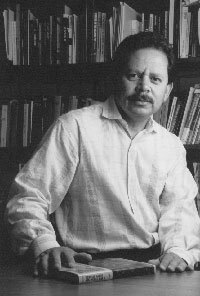 His book, Nosotros: The Hispanic People of Oregon, received the 1996 Helen and Martin Schwartz award from the National Federation of State Humanities Councils. Dr. Gamboa's work has also won recognition form the governors of Washington, Idaho, and Oregon. Culturally Responsive Teaching: Theory, Research, and Practice (2000). Professor Gay is the co-editor of Expressively Black: The Cultural Basis of Ethnic Identity, and editor of Becoming Multicultural Educators: Personal Journal Towards Professional Agency (2003). Angela B. Ginorio is an Associate Professor Emerita in Women Studies, and Adjunct Associate Professor in the Department of Psychology and American Ethnic Studies at the University of Washington.She teaches courses on "Women and Violence, " "Women and/in Science," "Issues for Ethnic Minorities and Women in Science and Engineering," and "Gendered Technologies." Her scholarship focuses on factors affecting access to and experiences in science and engineering of under-represented groups (students and faculty of color, women, students from rural backgrounds), with particular attention to impact of socially defined identities, parental involvement, and "mentoring." Michael Honey is the Fred T. and Dorothy G. Haley Endowed Professor of the Humanities and Professor of Labor and Ethnic Studies and American History at the University of Washington, Tacoma (UWT). His research and writing is widely recognized. His book, Black Workers Remember: An Oral History of Segregation, Unionism, and the Freedom Struggle, received the Southern Historical Association's H.L. Mitchell Award for southern working-class history, the Southern Regional Council's Lillian Smith award for a study of human rights issues in the South, and the Tacoma Public Library's Murray Morgan Award for excellence by a Washington State writer. Previously, Honey won the Organization of American Historians Charles Thomson Prize— for the best research article based on the National Archives— for his article on white Unionists within the Confederacy during the Civil War. He has received research grants from the American Council of Learned Societies, the National Endowment for the Humanities, the National Humanities Center, and the Stanford Humanities Center. Professor Honey has published a score of scholarly articles in books and journals, as well as numerous columns in newspapers and periodicals. Professor Honey is currently helping to develop research-based learning among undergraduates through the Center for Labor Studies Tools for Transformation grant from the University of Washington. He is working with unions and community groups. As well as writing and teaching, Professor Honey regularly speaks on historical issues at various campuses and community organizations throughout the country, and consults with teachers and researchers developing labor, ethnic, and gender studies programs. 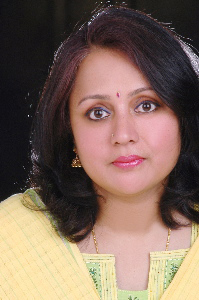 Brinda Jegatheesan is an Associate Professor in Educational Psychology at the University of Washington, Seattle. She is interested in the problem of socialization of bi and multilingual young children with autism and other developmental disabilities. Her work focuses on how cultural, linguistic and religious traditions and practices are interpreted by immigrant and refugee families in the U.S and taught to their next generation. She uses ethnographic, case study and portraiture approaches and micro-level analysis of discourse. Professor Jegatheesan’s work also focuses on ethnomedical beliefs and practices in the diagnosis and treatment of children with developmental disabilities and their implications for medical and allied health services for Asian immigrant families in the US and Indo-Canadian families in British Columbia, Canada. With typically developing young children, Professor Jegatheesan is currently examining compassion as a cultural value embedded in the natural bond between young children and their pets. She is drawing on visual research of children in four different cultures in the U.S, examining children’s talk around empathy, wonder, humility and respect for life. Professor Jegatheesan received her PhD from the University of Illinois at Urbana Champaign. Her book titled “Access, A Zone of Comprehension and Intrusion” was published in 2008. She was a fellow at the Center on Democracy in a Multiracial Society, University of Illinois in 2005-2006. Michael S. Knapp is Professor Emeritus of Educational Leadership and Policy Studies in the College of Education and faculty associate of the Center; he also directeed the Center for the Study of Teaching and Policy. A specialist in policy studies, at-risk students, and the connections between policy and classroom teaching, he has written widely on these topics. The books he has co-authored include Teaching Advanced Skills to At-Risk Students, Better Schooling for the Children of Poverty: Alternatives to Conventional Wisdom, Teaching for Meaning in High-Poverty Classrooms and Paths to Partnership: University and Community as Learners in Interprofessional Education. He is a contributing author of the Handbook of Research on Multicultural Education. Biren (Ratnesh) Nagda is Professor of Social Work and Director of the Intergroup Dialogue, Education and Action (IDEA) Center at the University of Washington. His research and teaching interests focus on intergroup dialogue, cultural diversity, and social justice education, and on multicultural, empowerment-oriented social work practice. Professor Nagda is a member of the team that researched and produced Toward Competent Communities: Best Practices for Producing Community-Wide Study Circles, a two-year study of community-wide study circle programs in 17 communities throughout the country. Teaching Democracy: Unity and Diversity in Public Life (2003). He is the research editor for the journal Social Education. Vicente L. Rafael is Professor of History at the University of Washington. His research and teaching include the following fields: Southeast Asia (especially the Philippines), Comparative Colonialism (especially Spain and the United States), and Comparative Nationalism. He also has an active interest in the related fields of cultural anthropology, literary studies and European continental philosophy. Professor Rafael is the author of White Love and Other Events in Filipino History and Contracting Colonialism: Translation and Christian Conversion in Tagalog Society under Early Spanish Rule. Multicultural Education, Transformative Knowledge, and Action. His most recent publications have been on critical race theory and educational policy as well as college student racial identity development. 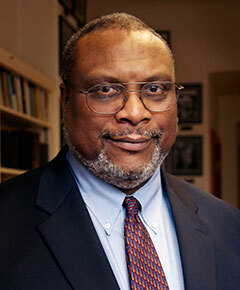 Quintard Taylor is the Scott and Dorothy Bullitt Professor of American History Emeritus at the University of Washington. Professor Taylor has more than four decades of teaching experience in African American history and specifically African Americans in the American West. He is the author of numerous books and essays, including In Search of the Racial Frontier: African Americans in the American West, 1528–1990, which was nominated for a Pulitzer Prize in history; African American Women Confront the West, 1600–2000, coedited with Shirley Ann Wilson Moore; and The Making of the Modern World: A Reader in 20th Century Global History. He co-wrote Dr. Sam, Soldier, Educator, Advocate, Friend: The Autobiography of Samuel Eugene Kelly which appeared in 2010. His current projects include a 20th Century history of the African American West for the University of Arizona Press. Currently serving on the Council of the Western History Association, Professor Taylor is also a member of the Board of Trustees for HistoryLink Interactive History Project and is the Director of BlackPast.org, a 10,000 page website on African American history. Manka Varghese is an Associate Professor professor of Language, Literacy, and Culture, and a faculty associate of the center. Her areas of teaching and research relate to the challenges of cultural and linguistic diversity. Dr. Varghese received her Ph.D. from the University of Pennsylvania. Jonathan Warren is Associate Professor in the Department of Sociology at the University of Washington. Within the broad area of critical race studies he has focused on whiteness, racism literacy, racial identity formations, and the links between everyday practices and racism in the US and Brazil. Professor Warren is currently working on a comparative study of modernities in Brazil and Vietnam. 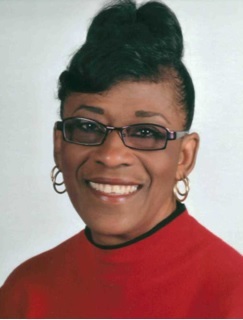 Dr. Williamson-Lott is a Professor in Social and Cultural Foundations with an emphasis in History of Education. Her primary research agenda examines the reciprocal relationship between social movements--particularly those of the middle twentieth century--and institutions of higher education. Her previous work investigated black student-motivated reforms at predominantly white institutions during the Black Power era. Her book, Black Power on Campus: The University of Illinois, 1965-1975 (2003), examined the interaction between students and administrators that created the successful support systems which exist on today's college campuses. She has recently completed a book entitled Radicalizing the Ebony Tower: Black Colleges and the Black Freedom Struggle in Mississippi (2008), which examines issues of institutional autonomy, institutional response to internal and external pressures, and the relationship between historically black colleges and the Civil Rights and Black Power Movements. She has also written about the Black Panther Party's educational programs, the history of social justice in education, and the portrayal of the black freedom struggle in high school history textbooks. Dr. Williamson-Lott teaches courses on the history of education, the history of higher education, education as a moral endeavor, the shifting definition of 'proper education' and 'liberation' for different social groups, and the educational histories of people of color. She also teaches in the Secondary Teacher Education Program. Diane Gillespie is Professor Emeritus of Interdisciplinary Arts and Sciences at the University of Washington-Bothell. She taught courses in the concentration of society, ethics, and human behavior. Her recent research interests have included examining the power of conceptual metaphor in faculty narratives. She explores the ways in which analyzing stories and their predominant metaphors can yield insights and new perspectives that transform classroom practices.Professor Gillespie has also been involved, through The Washington Center for Improving the Quality of Undergraduate Education, in a state-wide cultural diversity project called Critical Moments. It is designed to increase critical thinking and cognitive functioning in nontraditional college students when diversity is what is at issue in a student's experience. Joseph W. Scott is a Professor Emeritus of Sociology at the University of Washington, retiring after a career of 40 years of university professorships. During his long career, Professor Scott has worked unceasingly for the civil rights and the advancement of all minorities. He has published approximately 50 articles and chapters, and also one book, entitled The Black Revolts: The Politics of Racial Stratification. He is currently finishing up two more books. His research scholarship has appeared in leading sociology and political science journals such as The American Sociological Review, The American Journal of Sociology, The National Journal of Sociology, and the Political Science Review. 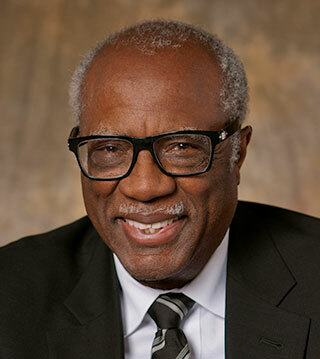 He has been a pioneer and past president of the Association of Black Sociologists, and a past president and vice president of the North Central Sociological Association. Professor Scott has been honored with numerous awards such as the G. Pritchy Smith Multicultural Educator Award given by the National Association for Multicultural Education; the Fulbright Scholar Award to Argentina (twice); the Ford Foundation Lecturer Award to Nigeria; and the Distinguished Alumni Award given by Central Michigan University. Thaddeus H. Spratlen is a Professor Emeritus of Marketing at the University of Washington. Over the years he has taught courses related to racial and ethnic issues, business and economic development and multicultural marketing. Professor Spratlen’s research and publications have focused on urban, racial, ethnic and social policy aspects of marketing and related business disciplines. Professor Spratlen was the first African American to be granted tenure and to be promoted to full Professor at the UW Business School. In 1995, he became the founding Faculty Director of the Business and Economic Development Center (BEDC).